Anthony Hordern's store boasted the largest private PABX (Private Automatic Branch Exchange) in the Commonwealth. Open from 8.30am to 6pm, it was supplemented by an all night phone service in the delivery department. The notion that women were more suited to monotonous jobs was prevalent in the twentieth century. 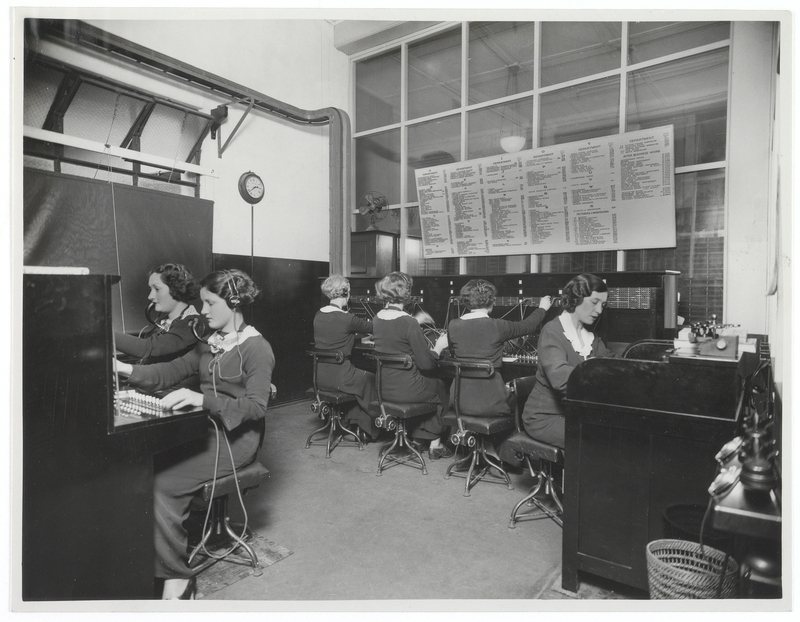 As late as 1974, over half the women employed in the Commonwealth Public Service were in just three occupations - telephonist (17%), typists and steno-secretaries (16%) and clerical assistants (24%).